There are many expats living in Cha-Am but it’s still a Thai seaside resort in a Thai town, so it’s not always easy to find what you are looking for. We hope this little guide will help you. Electricity, Internet… where shall I go? The two major operators are TOT and TT&T. TOT office can be found on Phetkasem road, on the left side in the direction of Bangkok, a few yards after the main traffic lights junction. T&T is on Phetkasem road, on the left side of the road when coming from Hua Hin, in soi Nitithon 2 (before the main traffic lights junction and just after the purple building of Electricity). 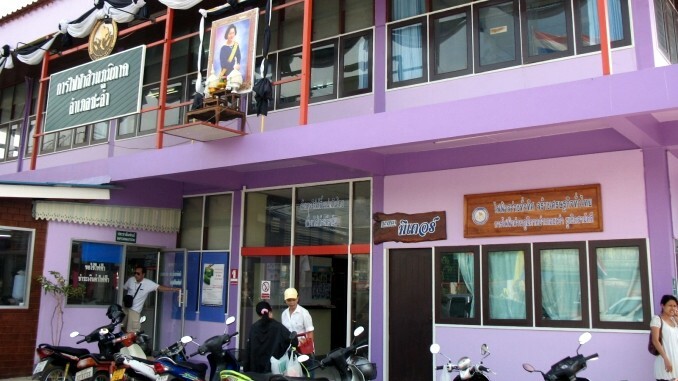 There is also a CAT office on Narathip road, on the right side when coming from Phetkasem road, close to the beachroad. In Cha-am you can choose between three providers: TOT, CAT and 3BB. Their websites are not always up to date, so we advise that you go to their offices and check directly with them for availability in your area and the different packages (and promotions) they offer. 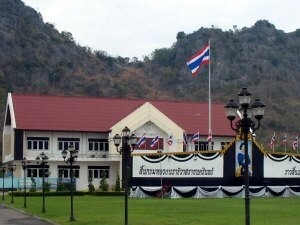 The new office of the PEA (Provincial Electricity Authority) is a few kilometers south of Cha-am on road 1001 that runs between Phetkasem and the Bypass road. Fortunately bills can be paid at any Seven-Eleven! For all matters related to building permit, water, house number and house registration, go to the Tesaban office on Phetkasem road, on the right side of the road when going in the direction of Bangkok, at km 184. It closes at 4.30 pm. You can pay most of your bills (Internet, telephone, insurance…) at all Seven-Eleven shops (ask for ‘counter service’). They just scan the bar code on the bill. Most major banks have a branch in Cha-Am. You will find most of them near the main traffic lights junction. Siam Commercial Bank and Bangkok Bank are at two locations, near the main junction and on the beach road. For more information, see our page about Money and Banks. To have drinking water delivered to your house (small bottles or 20 litres tanks), you should spot a delivery car in the area where you live and arrange with them directly (or have your owner do that if you rent a house). Unfortunately there is no bookshop selling English books in Cha-Am. You can borrow or buy second-hand paperbacks at some expat places, like Okay Supermarket. 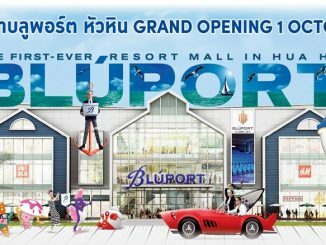 But for a larger selection of books, we advise that you go to Hua Hin (there’s an Asia Books in Bluport mall), Bangkok, or order online. If you need to translate a personal letter or official documents, from or into Thai or any other language, please contact us directly. We will get in touch with a translator and get back to you with a quotation. “Cha-Am IT” is a shop in the same soi as kan fai fa (see “Electricity” above). They have computer accessories and they can arrange everything for you, like assemble or repair a computer, check your Wifi connection, reinstall your software, etc. Cha-Am IT, a computer shop. 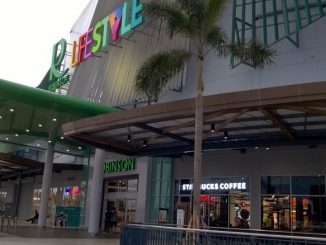 You can find some western products in shops like Okay or Big C.
For more information, see our page about Shopping and our page about Restaurants. It depends on the brand you choose, of course. There is a Toyota center on Phetkasem, on the left side of the road when going to Bangkok, just before the bridge over the railway. A Yamaha center and a Honda center are in the same area, on the opposite side of the road. Hey there, I am looking for coworking space in cha am to do some telework. Any suggestions? HI, guys, I’m looking for a shop or printers that can laminate an A5 card, any ideas? Hi Ruskie I recommend the shop named “Sorn Sin” which is opposite the main Post Office on the road going to the train station. 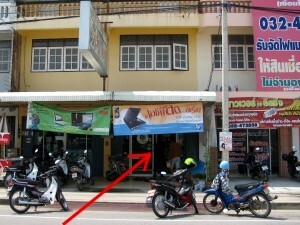 I tried in vain to locate Mai Electronic in Cha-am yesterday using the directions and picture in the expats guide. Apparently the color scheme for the building has changed. I did find a store with lots of electronic junk parts around it that also sold computer stuff and small appliances with no price on anything. 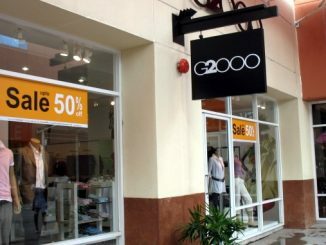 I spent some time in the store trying to find someone who would verify the shop,recognized Mai’s name, or would give me any info on getting an appliance repaired. After being completely ignored including Thai text and voice translation with Google on my phone I left in bewilderment. I did not get frustrated or angry as I’ve learned that the Thai people don’t pursue much of anything aggressively and just let things flow. Unfortunately for me this didn’t help me or Mai, who is presumably in business to sell appliances, do repairs, etc. Or not? Putting the precise location on your map would help newbies as would geographic coordinates that could be used with GPS on a phone. Anybody with real knowledge of this place could also post a recent photo. Without more info I have to abandon this as a resource for repair or purchase of anything. Thanks in advance for any help. I am trying to locate the registry office for marriages in cha am? Can you provide any information? Hi David, the “amphoer” (city hall) is on the right when going towards the train station. You can check the exact location on our interactive city map (link in top menu). We all take pride in being thoroughly professional and our personal detailed approach. The offices are superb modern premises, which incorporate the latest i .
your legal affairs in a prompt and efficient manner.